Countless systems and processes exist to ensure patient safety — from data privacy to medication checks to infection prevention. Hospital admission means being hooked up to at least one monitoring device, and nurses regularly check vital signs. Every action is recorded in EHRs, which can be shared across providers and referenced whenever patient health history is required. Constant monitoring and safeguarding of processes may be a lot of work, but any risk of creating additional health problems for patients is unacceptable. Behind the scenes, there’s a whole other set of health and safety practices and regulations that must be followed, documented and reported upon. These are focused not on patients, but on those who work with and around them. Workplace safety is a major challenge for healthcare organizations, as is compliance with its daunting array of related regulations. Regulatory directions from multiple federal agencies, including Health and Human Services (HHS), Centers for Medicare and Medicaid Services (CMS), and the Occupational Safety and Health Administration (OSHA), from state and local agencies, and from healthcare accrediting organizations weave a tangled web. OSHA is the agency primarily responsible for workplace health and safety regulations, yet even when limiting the scope to this one agency, there are multiple, shifting layers of directives and requirements to which healthcare organizations must adhere. Many OSHA regulations initiated during the Obama administration have recently been canceled or delayed. More than half of the OSHA-specific items on the DOL’s regulatory agenda have been dropped by the new administration. While these actions (in addition to OSHA budget cuts) may somewhat ease the regulatory burden at the federal level, the uncertainty they have introduced leaves compliance managers (and inadequately protected workers) in a tough spot. For example, OSHA’s deadline for a new electronic injury and illness reporting requirement, originally set for July 2017, has been postponed to December 2017 and is one of the rules that the current administration plans to “revisit.” Guidance aimed at preventing workplace violence in healthcare has been removed, yet a similar order went into effect in California in April 2017. Even if the federal government rolls back proposed regulations around workplace safety measures and reporting, states and other agencies will likely press forward with similar initiatives. More importantly, in order to manage operational risk and protect their valuable employees, healthcare organizations need more efficient, integrated methods to identify, assess, document, and remediate workplace hazards, injuries, and illnesses. Manual, disjointed approaches to workplace safety are insufficient, slow, and expensive. 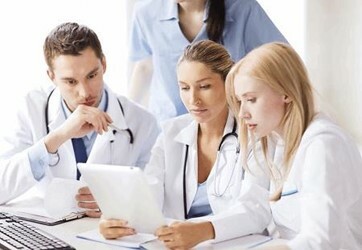 Healthcare organizations require a systematic, centralized approach to sharing data for use in compliance reporting, risk assessments, and audit preparation. Enabling better communication across departments increases accountability and transparency. Automating processes (e.g., incident tracking, workflow, assessments, and reporting) enhances overall efficiency and reduces compliance gaps. An integrated approach to risk management that leverages a centralized data repository and coordinated processes to address workplace safety risk alongside operational, IT, and third party risk results in a more inclusive, granular understanding of enterprise risk. Integrated risk management (IRM) technology enables a more efficient, cross-organization approach to workplace safety and OSHA reporting. Scalable and cloud-based, these solutions can be integrated with an organization’s existing compliance framework: policies can be mapped to controls and procedures and continuously updated through links to regulatory libraries. Supported by the analytics capabilities of comprehensive IRM platforms, health and safety teams can use historical data to gain insight into root causes of incident, including issues that cause repetitive stress injuries, inadequate procedures that lead to pathogen or chemical exposure, to conditions associated with assaults on healthcare workers. Audit, compliance, incident, risk, and data security stakeholders have access to health and safety’s findings and reporting, and vice-versa. Through dashboards and heat maps, risks associated with workplace accidents, job hazards, and disparate facility sites gain visibility at the executive level. IRM technology streamlines the execution and documentation of facility and site inspections, as well as remediation based on the findings. Dangers identified during inspections and job hazard analyses are linked to the risk register to inform strategic and tactical priorities. Submission-ready OSHA forms can be generated automatically from incident data, saving resources and improving accuracy and responsiveness. In the end, increased visibility and control reduces findings, fines and accidents, leading to lower insurance premiums, fewer lawsuits, and fewer days of work missed for illness or disability. Open lines of communication, regular training, and employee involvement in workforce initiatives are essential to creating safer environments. By providing anonymous portals for incident reporting, mechanisms for distributing communications throughout the enterprise, and track-and-record functions that ensure training completion, these solutions reinforce a culture of safety and accountability. Replacing healthcare workers is costly; implementing measures to prevent burnout and reassure workers that their wellbeing is a priority can reduce turnover and staff shortages. Healthcare organizations that can’t continuously monitor and improve the safety of their employees are taking unnecessary risks with patient care as well. The complexity and mutability of the regulatory landscape is a significant challenge for an already overtaxed healthcare system. Leveraging the analytical and automation capabilities of IRM technology lightens the load for health and safety teams, while making safety a higher priority throughout the organization.